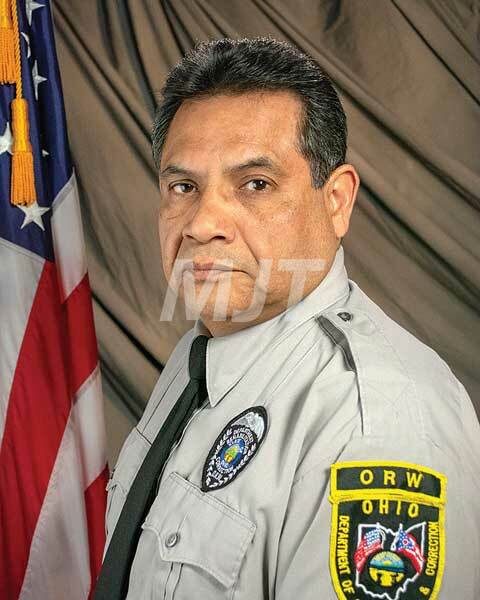 Jaime Cortez has been selected as the 2019 Officer of the Year for the Ohio Reformatory for Women. Cortez was selected by his peers for his leadership, confidence, dedication and team work. This award is presented to the correction officer who best exemplifies the mission of the Ohio Department of Rehabilitation and Correction, as well as representing the Ohio Reformatory for Women in a positive and professional manner. Cortez was cited for several characteristics that he brings to his job. He is reportedly always positive, energetic and enthusiastic about his daily job, which carries over to whomever he is working with. A release state his professionalism is extremely high when performing his duties. The statement adds that Cortez has a great rapport with his fellow officers and supervisors, completes his tasks, effectively, thoroughly and with little to no supervision, and possesses all traits associated with excellence and is a true asset to the Ohio Reformatory for Women. Cortez began his career at the now closed Lima Correction Institution in August of 2000. In June of 2004 he transferred to the Ohio Reformatory for Women. Each year, a statewide Correction Officer of the Year is selected for the Ronald C. Marshall Award from 25 candidates from facilities statewide with the Department of Rehabilitation and Correction. On May 10, the 2019 Correction Officers of the Year will be honored at a banquet held at the Corrections Training Academy. This will conclude the annual celebration of Correction Employee Week within the institutions across the state.